This was a nasty test. Brave Noah was a trooper as always and held his own while a scope was sent through his nostril, them accidentally pulling his NG tube and a huge reflux episode. The test was quite revealing. It showed that Noah has inflamed vocal chords, throat and esophagus. 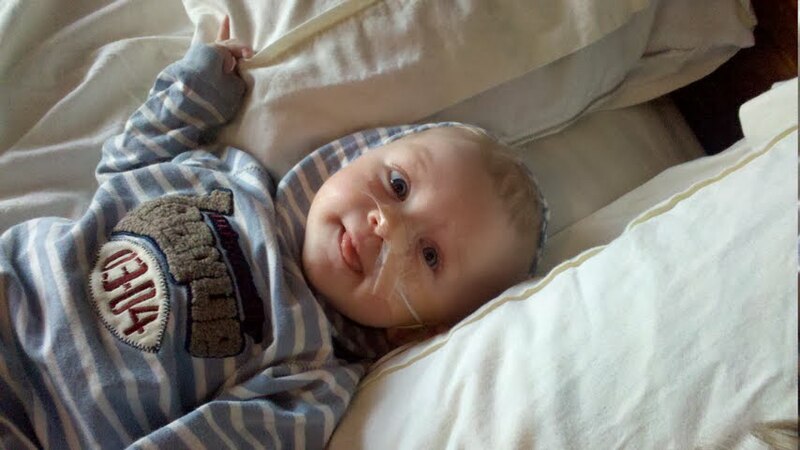 He has been struggling with pain associated with his reflux despite the medication he has been receiving. I'd been praying that God will give us peace and clarity in terms of the fundo.....well, we got His answer, loud and clear! Noah needs to be 100% NG feed until the surgery - any food passing through can cause pain and discomfort. We will continue with some solids, but mainly for keeping it familiar, not for calorie sake. Now the countdown begins....June 15 Noah will undergo surgery at Alberta Children's Hospital for a G-tube, Fundo and a Muscle Tissue removal (for neuro testing). Thanks to our friend Jasper for turning two. It was Noah's first time at a birthday party and he had a super duper time! Thanks to James for one of our few family photos! LIKES: new toys and places to play!